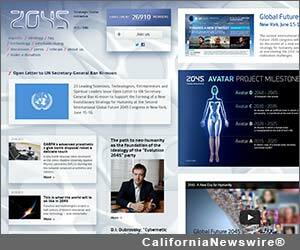 LOS ANGELES, Calif. /California Newswire/ — In the wake of the recent Global Future 2045 Conference in New York City, a consortium of researchers has announced two prizes intended to inspire further exploration in these areas. The Harvard World Mind Network, Friends Beyond Borders, BatangasVarsitarian.net and the Futures Project will present the inaugural Joy Awards. Advances in computer technology are racing towards a day when consciousness itself — the one thing that seemingly differentiates humans and other animals from all other phenomena in the universe — may be replicable electronically. Moore's Law states that computing power doubles every 24 months, a result that has remained remarkably constant since the 1950's. At some point computers will "catch up" with brains, at least in terms of processing power. What all this means is that something approaching immortality may appear later in this century. This will have enormous implications for government, business, the environment, and even spirituality. "Life as we know it is going to change significantly between now and mid-century," says FBB Committee Chair Sarah Mendel. "It's useful to start thinking about these issues now, so that we can anticipate new solutions and guide them carefully." The Harvard World Mind Network, Friends Beyond Borders, BatangasVarsitarian.net and the Futures Project will present the inaugural Joy Awards at the end of 2014.